Monday - It's our September Birthday Party! Join us as we blow out the candles on a heap of celebrity birthday cakes.. celebrating the biggest artists in the top 20, and giving a special birthday shout out to some of the other celebrities with their special day coming up in September. Along the way, there's the Aussie soap star turned singer who never wanted to do anything else... some big sporting birthdays and at number 1, the man who's never had a job outside of music. So join the party on the September birthdays 20 20 Retro Countdown. Tuesday - Back to the week when this TV show started! 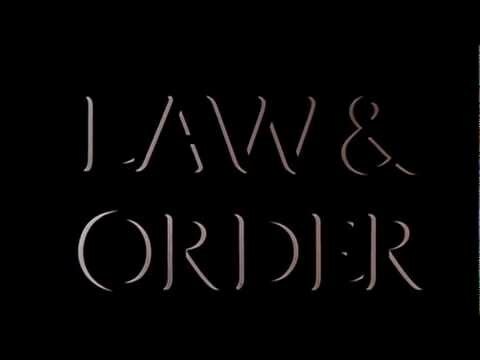 Yes, we'll remember the original "Law & Order" when we play the hits of this week in 1990. Also, there's the tv ad that featured some pretty big Australian celebrities and the first Hollywood Blockbuster for one of our favourite actresses. The number 1 is the solo hit for a rock band lead singer who was not only on the charts - he was also on the big screen... and of course on our countdown of the hits of early September 1990. Wednesday, We remember Keith Moon! Yes, it was in the first week of September 1978 that Who drummer Keith Moon died. This was his last interview. We'll remember "Moon The Loon" amongst the top 20 from this week in 1978... featuring 2 hits from a popular movie musical that was on the big screen at the time. On the tele - an alien landed who had previously made an appearance on Happy Days. All that and more as we visit this week in 1978. Thursday - Back to the week when this movie started! Yes, we were thrilled by Fatal Attraction during this week in 1987! Now, if that wasn't your thing.. you might have been at home listening to the most anticipated album of the 80's - it was released in early September 1987. Info-tainment arrived on tv in Australia - and speaking of tele - the number 1 spot was held by the biggest soapie star of the time - find out who when we turn back the 20 20 clock! Friday, Celebrating some of the greatest albums! Join us as we put records onto the turnstyle and play the opening tracks of some of the biggest albums of all time. There's something special about those first songs you heard - they were always put there to make an opening statement.. like the opening line of a book! So Friday - it's the "Opening Tracks" 20 20 Retro Countdown!